I appreciate the compliments! I agree with you white is such a nice clean color during the summer. You look great in that all white! As usual! Love your outfit from head to toe! You look fab!! Aww Shana...thanks!! Finding your blog was perfect timing for me. Yes I love those shoes too...they go with everything!! The feeling is mutual...we will continue to support and encourage one another on this journey! I love you in white, stunning! Thanks for the encouragement! Girl, I totally agree on letting go of the past and moving forward. It takes a lot of mental strength and determination, but once you do let go, it's like a burden has been lifted!! Thanks so much. Yes the piping is one of my favorite details on the blouse. oooh yay! 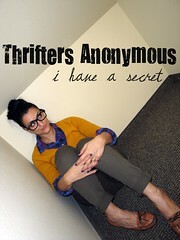 I will definitely check out Thrifters Anonymous. Thanks for putting me on. You look FABULOUS, dahling! Love those earrings!! 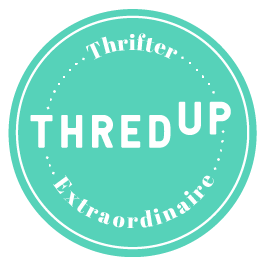 Yes it's a great network of thrifty bloggers!! Thanks for the compliments. This is so chic and feminine. All white is so nice in the summer, and you've really nailed it here. You look fantastic! Loving the all neutral color scheme! First let me say you look amazing. The blouse is beautiful. 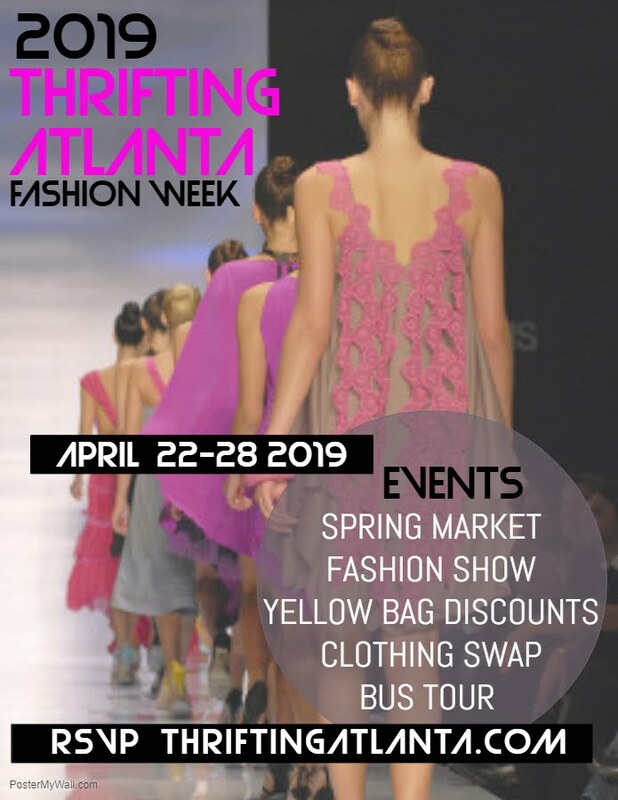 I wanted to get dress, call my girls and hang out :) Ohh someplace to showcase my thrifted finds...umm does this mean I can come off my no shopping hiatus? Kidding. I'll be sure to check it out and check in when I do find a few goodies. Lovely words, wonderful white outfit. Girl I have had a divine intervention moment in my life this week as well! I love those moments that help you keep on truckin. I am not a very religious person, but I have come to appreciate miracles more and more the past week. You look terrific in this skirt and congrats on winning the Thrifters Anonymous award! Hooray! ahhh...this was so encouraging...sadly enough I think we all feel this way...and it seems like words like this come at the perfect time...I want to thank you for giving me the encouragement I need!!! I feel lucky that you stumbled upon me! umm how much do you love those Jessica Simpson heels? I have them too and they are sooo dirty....Loving all the white...I am trying to convince photographer extraordinaire that she can pull white off...we shall see!!! Love everything you are doing...please keep going so we can all be inspired! Yay!!! I love Shana and her super cool blog! Her style, her thrifty finds... Love them! And you look stunning in your white blouse and skirt! Those shoes are gorgeous!! You look beautiful in all white!! Wow! love the monocrhomatic white ensemble look here! Hello! I just found you through Shana's blog, and I find all of your posts so inspiring and encouraging! Friendship, Fashion, and Faith. You have a beautiful blog - and you two gals are gorgeous! Well, I'm soooo glad that you stumbled across my blog. 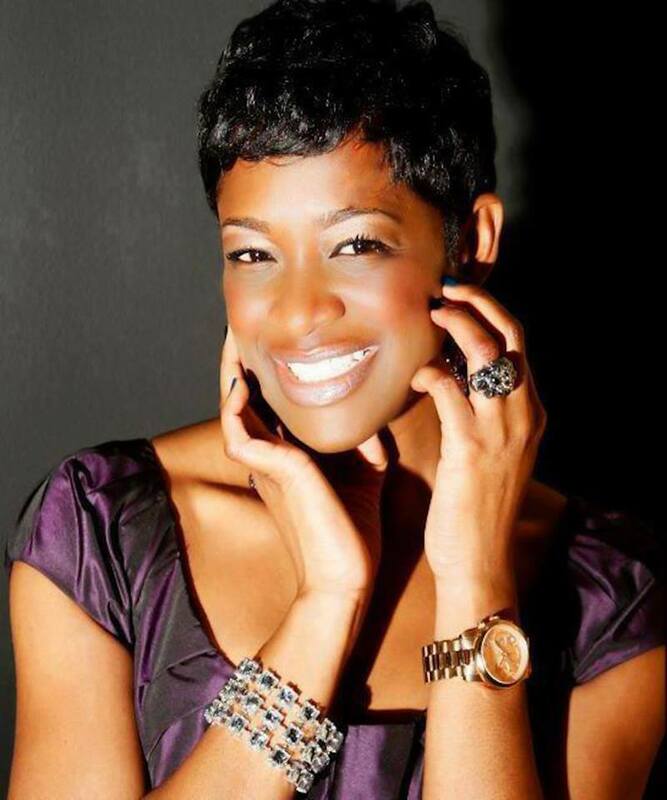 I love Shana and I'm glad that I could be the middleman in helping you to find inspiration and stay encouraged. It's great to know that your efforts are being noticed. I'm all about bringing people together. I'm so excited that you have decided to stay with us and continue your beautiful blog. It's motivational to say the least. Gurrrlll, you have wayyyy too much flyness to be hiding it under a rock somewhere. I'm so happy that I found your blog! I love to thrift too! Do you read RashonCarraway.com ? He is doing a I love thrifting day on July 9....check him out!! Such an elegant outfit! I love the earring and your hair like that! I'm glad you have found support, I may just have to check that out! Very inspiration post though, I agree completely, just let go, and move on.